Snow has been scarce this 2013/2014 season. The January 3 snowpack measurement shows 19% of normal for this time of year. Some cross country areas are closed, but the rest remain open with limited access, on trails that may be icy, dirty, and have some exposed hazards. The following is a list of the Lake Tahoe cross country areas and their conditions. Make sure you call before you go. Discounted trail passes are available at most areas due to the conditions. Please let it snow! Auburn Ski Club. Donner Pass next to Boreal. 20km available. Current conditions, only the 3k loop is open. Marked and unmarked hazards. 530-426-3501. Clair Tappaan Lodge. Nordan. Access to 12K of trails. Closed. 530-426-3632. Donner Memorial State Park. East end Donner Lake.. 2.5K of trails. Current conditions, hardpack snow with obstacles. Trails have not been groomed in weeks. 530-582-7892. Granlibakken Ski Area. Tahoe City, The loop trail is opened and groomed. 800-543-3221. Hope Valley Outdoors, Hwy. 89 at Hwy. 88. 50 miles of trails. Current conditions, 2 miles of groomed snow and 8 miles of marked trails. Fat tired bikes are available for riding on a 12 mile trail. 530-694-2266. Northstar California Cross Country, One 3.6 mile trail opened to snowshoe only at this time. 530-562-3270. North Tahoe Regional Park, Closed for skiing. 530-546-5043. Royal Gorge. 200K trail system. Current conditions, 23 groomed tracks for 34k of trails open. 530-426-3871. 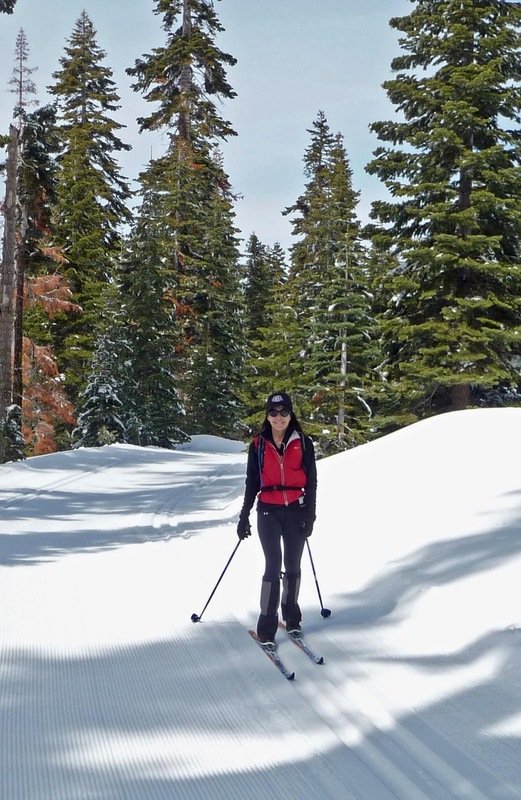 Sugar Pine Point, 11 miles of cross country and snowshoe trails. Hardpacked and ungroomed. 530-525-5060. Hwy 89 . Tahoe Cross Country, Tahoe City. 65k trail system. Current conditions, Closed. 530-583-5475. Tahoe City Winter Sports Park, Tahoe City. The 3k skiing loop is open. 530-583-5475. Tahoe Donner Cross Country, 100k Trail system, Current conditions, 15K open with marked and unmarked hazards. 67% groomed. 530-587-9484.